Wanda Watkins, Bob Burke and Anthony Cox have been chosen to be inducted into the Campbell University Sports Hall of Fame. 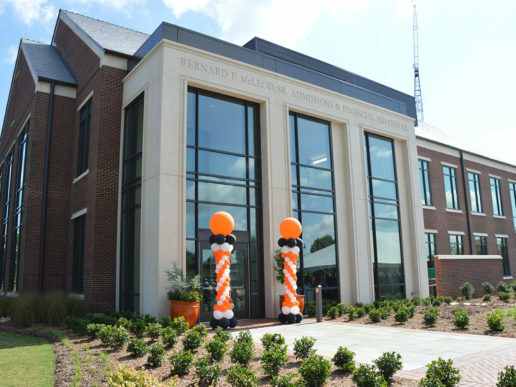 The induction will take place at 6 p.m. on Feb. 3,in the Alumni Room of Marshbanks Dining Hall on campus. Membership in the Hall of Fame, which began recognizing Campbell athletic greats in 1984, now numbers 80. Not only was Watkins Campbell’s first-ever female athlete scholarship recipient, but she went on to win more than 500 games in her 35-year tenure as head coach of the Camel women’s basketball team. Burke was a member of the Campbell basketball team from 1967-69 and went on to an outstanding coaching career in the college and professional ranks. Cox was Campbell’s first two-time qualifier for the NCAA Division I wrestling championships. 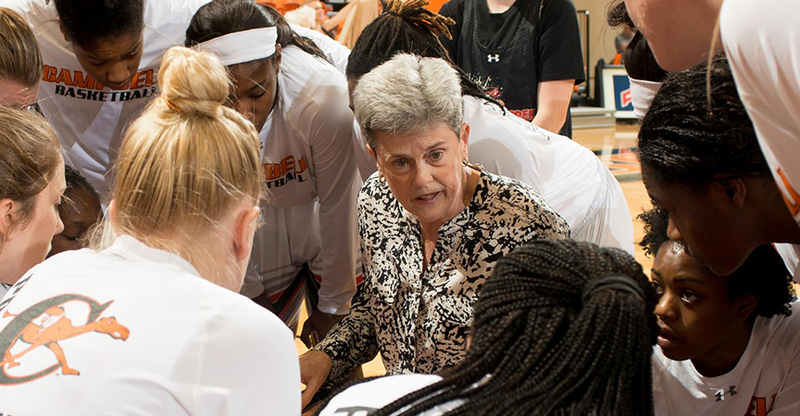 For 35 years (1981-2016), Watkins served as head coach of the Campbell women’s basketball team before retiring from coaching last spring. While in charge of the Camels on the court, Watkins led her teams to 549 victories, 10 appearances in Division I conference championship games and the program’s first-ever trip to the NCAA tournament. 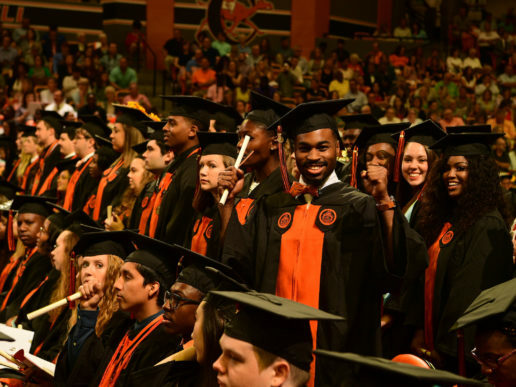 Among Watkins’ countless honors and achievements is the fact that more than 95 percent of her student-athletes completed their Campbell undergraduate degrees. The 1979 Campbell graduate led her teams to the 1989 Big South and 2000 Atlantic Sun Conference tournament titles. In addition, Campbell was the 1988 (co-champion) and 1991 Big South regular season champion, as well as the 2001 A-Sun regular season champion. Her 2000 team defeated Georgia State in the championship game, advanced to the NCAA Tournament for the first time in school history, and finished with a 22-9 record. In addition to her coaching achievements, Watkins holds a special place in Campbell athletics history. She was the school’s first female athletic scholarship recipient after graduating in 1975 from nearby South Johnston High School, where she was a member of the 1974 North Carolina state championship team. 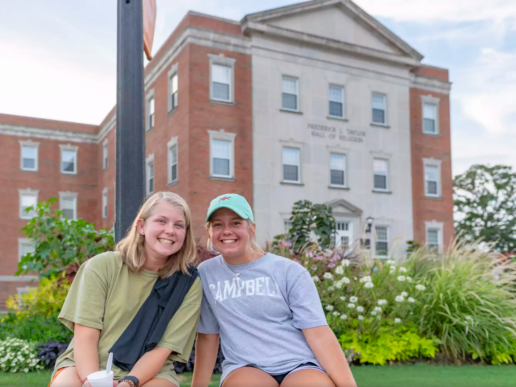 She served as team captain of the Campbell basketball team as a senior and captained the softball team for three years. Despite suffering an injury in her final season, Watkins was named MVP of the 1978-79 team and selected as Campbell’s Outstanding Female Athlete. She now serves as Associate Athletics Director / Coaches Liaison and Senior Woman Administrator at her alma mater. Bob Burke followed his collegiate mentors Fred McCall and Danny Roberts into the coaching ranks immediately after his graduation in 1969. He guided Wallace-Rose Hill High School to a state Final Four appearance in two seasons before moving to the college level. In 25 years as a collegiate head coach, Burke amassed 454 career victories (and only 258 losses), including a 419-217 mark in 22 years at Chowan College. After serving a successful three-year stint as head coach at Greensboro College, Burke was an assistant coach for Campbell’s 1974-75 team which posted a 25-6 record and set a school single season wins record that stands to this day. He was appointed head coach at Chowan in 1980 and led the Braves to three National Junior College Athletic Association Tournaments and twelve 20-win seasons in 13 years before the College moved to four-year status in 1993-94. One of his finest Chowan players, Nate McMillan, is now the head coach of the NBA’s Indiana Pacers (and former head coach of the Seattle Super Sonics and Portland Trailblazers) following an outstanding playing career at N.C. State and later in the NBA. Burke, who served on the staff of the Campbell Basketball School for more than 30 years, left his head coaching position at Chowan in 2002 to serve as an assistant coach at the University of Hawaii and later moved on to an assistant position with the Portland Trailblazers. He was inducted into the Chowan Hall of Fame in 2000 and the Helms Center playing surface was named in his honor in 2016. Cox joined the Campbell wrestling program in 1985 and became the school’s first two-time qualifier in the NCAA Division I Wrestling Championships. After finishing third in the North Carolina state championships at Goldsboro High School, where he compiled a 107-10 overall record, Cox quickly established himself as one of the country’s top collegiate wrestlers at the 167-pound weight class. By the time he concluded his collegiate career as a fifth-year senior in 1990, Cox had compiled a career record of 120-20. He compiled a 26-7 record as a freshman in 1985-86; then earned his first NCAA Championship berth in 1986-87 after winning 38 of 44 matches and finishing as runner-up in the NCAA East Regional Championship. As a junior in 1987-88, Cox posted a 40-4 overall record and finished ninth in the NCAA Championships at 167 pounds, falling one place shy of gaining All-America status. He was twice named team MVP and was selected as Campbell’s Outstanding Male Athlete for 1987-88.